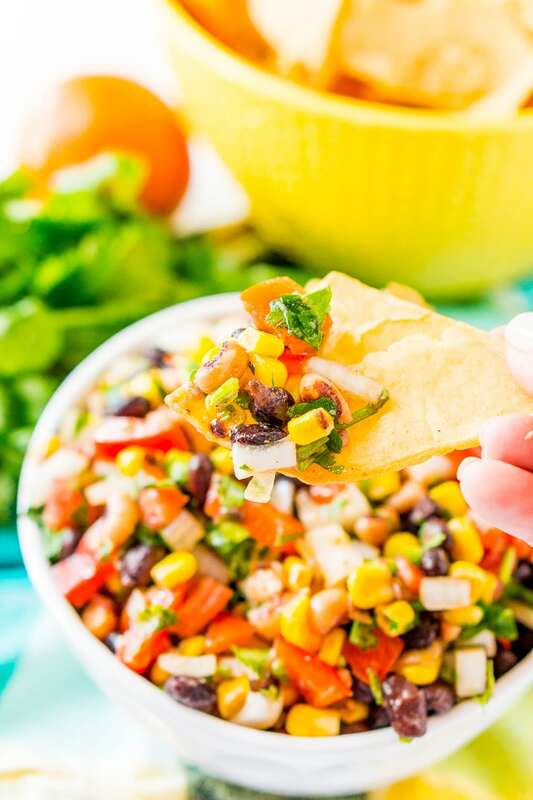 Cowboy Caviar is a Mexican-inspired dip or topping that’s loaded with beans, corn, onion, peppers, tomato, cilantro, and a handful of zesty spices! It’s the perfect addition to game day snacks, barbecues, taco night, and more! 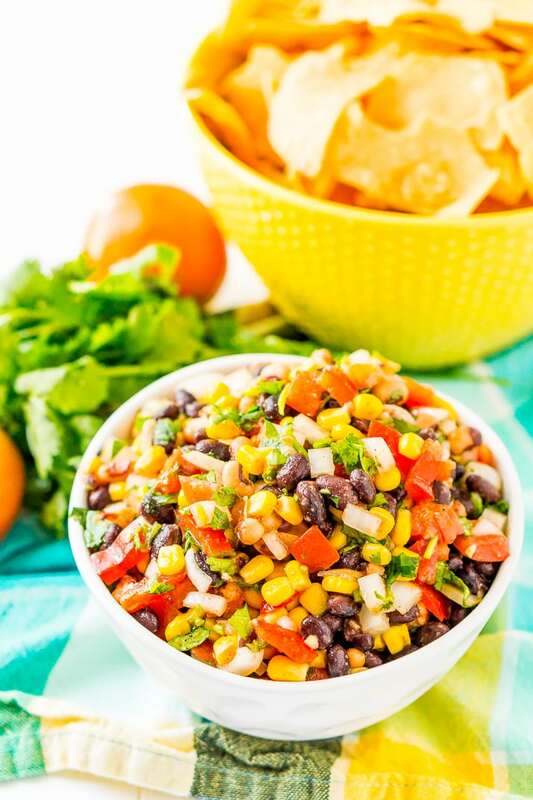 If you love Mexican-inspired cuisine, this Cowboy Caviar is a must for your recipe box. 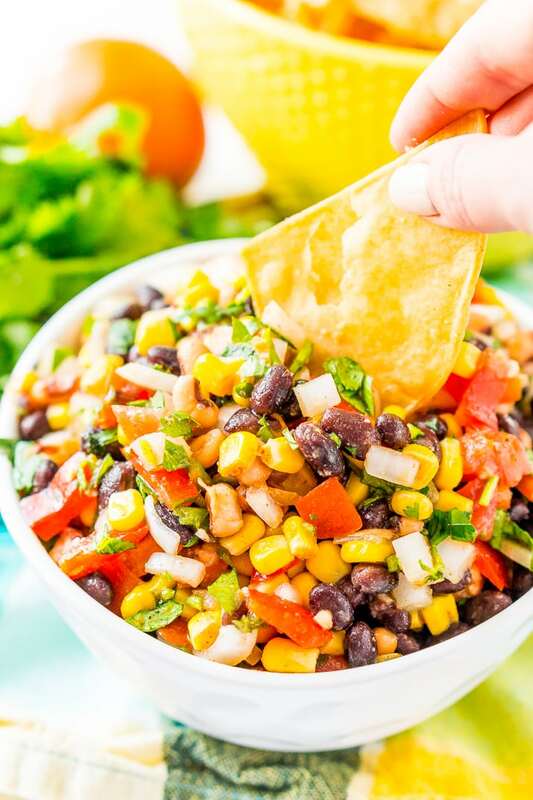 It’s like homemade salsa, but with beans, corn, onion, tomato, and a whole lot of flavor! The Cowboy Caviar ingredient list is a little lengthy, but don’t let that intimidate you. It’s super easy to make, and at least half of the ingredients are basics that are probably already in your kitchen. All you have to do is mix everything together and enjoy! 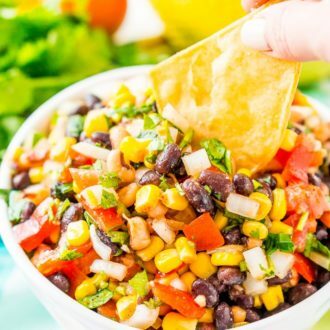 This Cowboy Caviar Dip and topping is deliciously hearty since it’s filled with beans and corn, plus some fresh veggies! The addition of lime juice, apple cider vinegar, and a touch of honey or agave is what gives it that dip-able consistency. It’s perfect for scooping with tortilla chips for a simple, easy snack! You’ll be pleasantly surprised to learn that this Cowboy Caviar Recipe is also low-cal and packed with fiber! This is especially good news because once you try this stuff, you’ll want to put it on everything. Need some more pairing ideas? Don’t worry, I’ve got plenty! 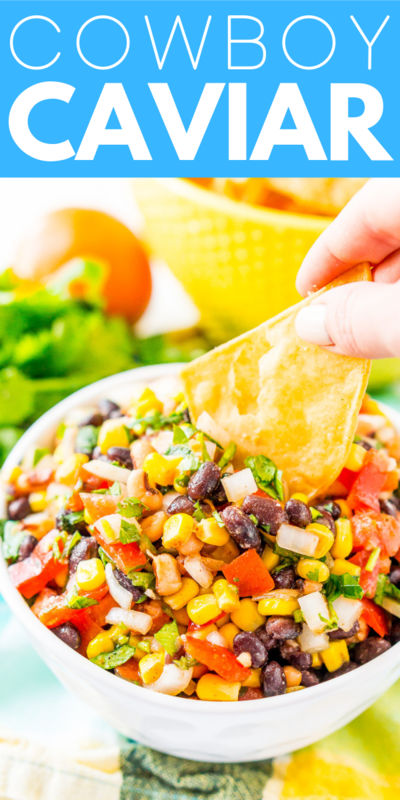 Savor Cowboy Caviar with tacos, quesadillas, and nachos. Also, try adding it on top of fish, chicken, or taco salads. This crowd-pleasing recipe is so versatile, it’s perfect to make for barbecues, taco night, or to inspire game day munchies. 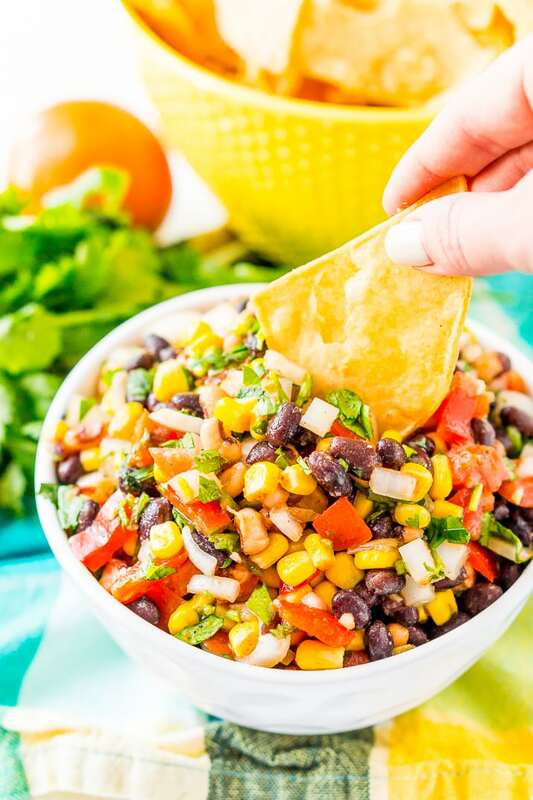 And if you’re a fan of meal prepping for weekday meals, try Cowboy Caviar-inspired burrito bowls! Make a big batch of rice and pulled pork or chicken to last throughout the week. When it’s time to pack lunches, put a scoop of each into a container and add toppings. Mix in cheese, diced tomatoes, lettuce, sour cream, salsa, and of course, a generous helping of Cowboy Caviar! Wholesome and tasty, this Cowboy Caviar Recipe can be enjoyed at almost any occasion. Whether you add it to your favorite dish or enjoy it with tortilla chips, it will become a family favorite! Combine all ingredients together in a large bowl and use as a dip or topping for Mexican-inspired entrees!